For a bold combination of our favourite lettuces, try this 5-Lettuce Mix. The varying textures and tastes are sure to delight those who love variety, colour and great taste! 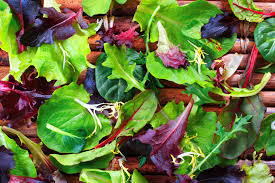 Green leaf lettuce, red leaf lettuce, butter lettuce, romaine lettuce, radicchio. Ingredients may vary.